Peanuts aren't just a delicious snack that you can enjoy any time of the day. They also have a number of nutrients that can contribute to a well-rounded diet. Whether you like putting a hearty scoop of peanut butter in your performance blender for a tasty smoothie or using whole peanuts in your home cooking, you should know which benefits these legume contain. According to the U.S. Department of Agriculture, dry roasted, unsalted peanuts carry tons of protein. One cup has nearly 24 grams of protein, about half the daily recommended value. Protein is a crucial nutrient for building muscle. You may want to consider a peanut butter smoothie or some peanuts for a good post-workout snack. 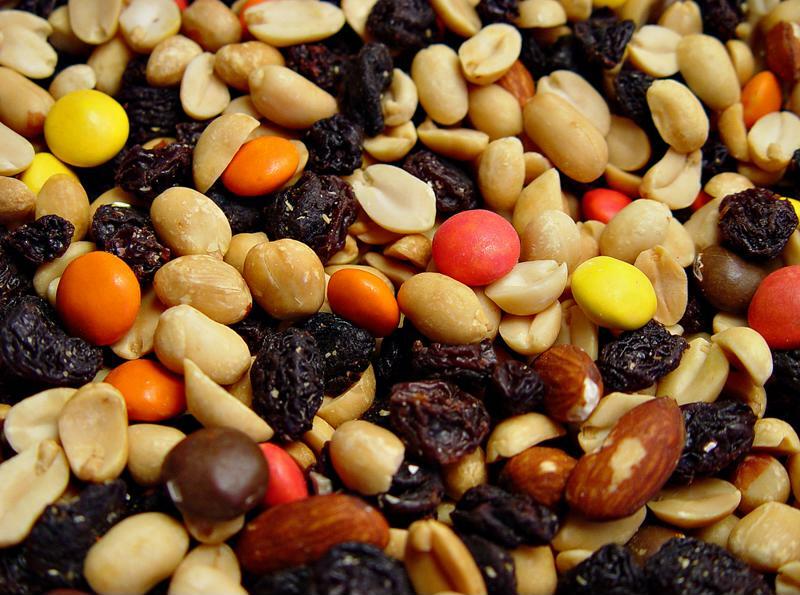 Consider making your own trail mix with plenty of peanuts. Vitamin B-3 is also known as niacin and can help improve cardiovascular health. Peanuts are an excellent source of niacin, with a significant portion of the suggested daily percentage. Vitamin B-3 can boost your "good" cholesterol levels, according to the Mayo Clinic. As the level of good cholesterol increases, the bad cholesterol decreases. This can help lower your risk of heart attack. Niacin also helps with digestion. Peanuts are rich with vitamin E. This vitamin includes several naturally occurring nutrients, which are antioxidants and help protect cells from breaking down. Its used by many people for a variety of purposes, such as improving skin and increasing energy. Manganese is a mineral that's critical to normal body functions. Manganese is important to the brain operation, bone growth, liver function, metabolism of fat and mineral absorption. Copper may make you think of pennies, but this mineral actually is important to your circulatory system. Red blood cells need copper to form. Peanuts can also be a good source of fiber, which is important to normal digestive function.